Reviewing a high-cost case, one of TransparentRx's Certified Pharmacy Benefits Specialist and clinical pharmacist identified an unusually high payment for a specialty pharmacy drug. The CPBS notified the client and consulted on appropriate pricing. It was discovered that although the client had performed a medical necessity review, the cost of the drug was not reviewed because an existing discount was already in place. We were able to negotiate with the provider and win both retrospective and future pricing at the CPBS’s suggested cost. Total Annual Savings: $1,623,427. Take a proactive approach to prior authorizations. I've been fortunate enough to be a "fly on the wall" listening to the leadership teams of several national specialty pharmacies. And while they preach case management and patient care as the priority if you listen carefully what they really want first and foremost is volume or more prescriptions. I am asking self-funded employers a simple yet very important question. Does it make sense to have the same entity manage and approve specialty Rx claims when that entity stands to benefit when these claims are approved? If 90% or more of PAs are getting approved you might be a victim of rubber-stamping which leads to what? You guessed it - higher costs. Just because you have a PA or step therapy program doesn't mean it is efficient. Consider carving out the prior authorization process or at a minimum taking a more hands on approach. Crosswalk “J” Codes to National Drug Codes (NDCs) to identify specialty pharmacy drugs. J codes are Healthcare Common Procedure Coding System (HCPCS) Level II and mainly used in infusions, injections, and supply codes. J codes apply to drugs that are administered other than orally, typically indicating injection or intravenous delivery. An NDC is a unique 10-digit, three-segment number that serves as a universal product identifier for human drugs in the U.S. The code is present on all nonprescription (OTC) and prescription medication packages and inserts. If a medication is paid for under the medical benefit, the claims use J codes — they are part of the Healthcare Common Procedure Coding System (HCPCS) — and J codes are blunt instruments compared with NDC codes. There’s often a lag in assigning J codes, so new drugs may share an “unlisted” designation for months. 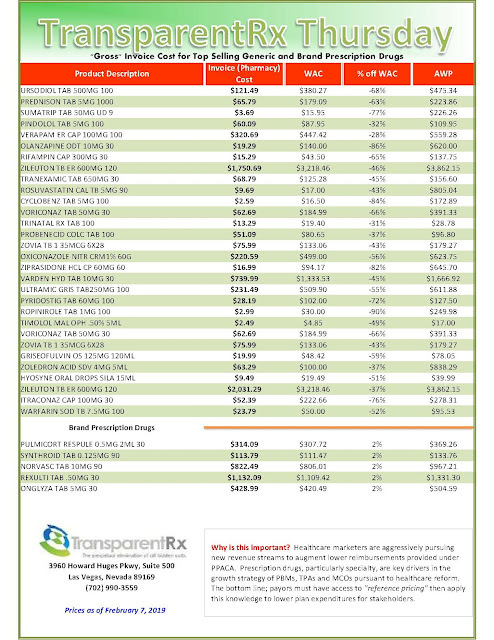 Brand and generic drugs share a J code, and package size is not included. If you need to track medication use and cost, J code data will give you a fuzzy picture; the NDC codes, a high-resolution one. The retail cost of Sprintec is $10.04 but OptumRx required the pharmacy to collect $50 from the patient. OptumRx contributed nothing for the drug but collected the additional $38.35 clawback from the pharmacy, almost four times the retail cost of Sprintec. An unnamed pharmacist provided the claim information. Watch this short video for a demonstration on how clawbacks work. 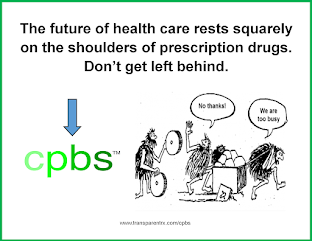 This billing practice is known as a “clawback” and you may have no idea it’s happening because pharmacists aren't yet allowed in many states to tell you under a gag order in place that restricts pharmacists from telling patients they are being overcharged. These clawback monies are a contributing factor to significant overpayment for pharmacy benefits management services. 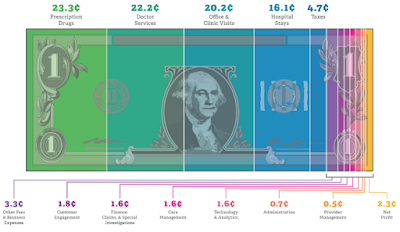 Clawback revenue also plays a big role in the unchecked service fees to non-fiduciary PBMs who rely on them to cover overhead. For self-insured employers, it’s all about the contract so if you enter into an agreement with a PBM that does not drive radical transparency you leave employees holding the bag. This data provides valuable insight into recent trends in AWP discount averages and ranges amongst stakeholders across the industry. 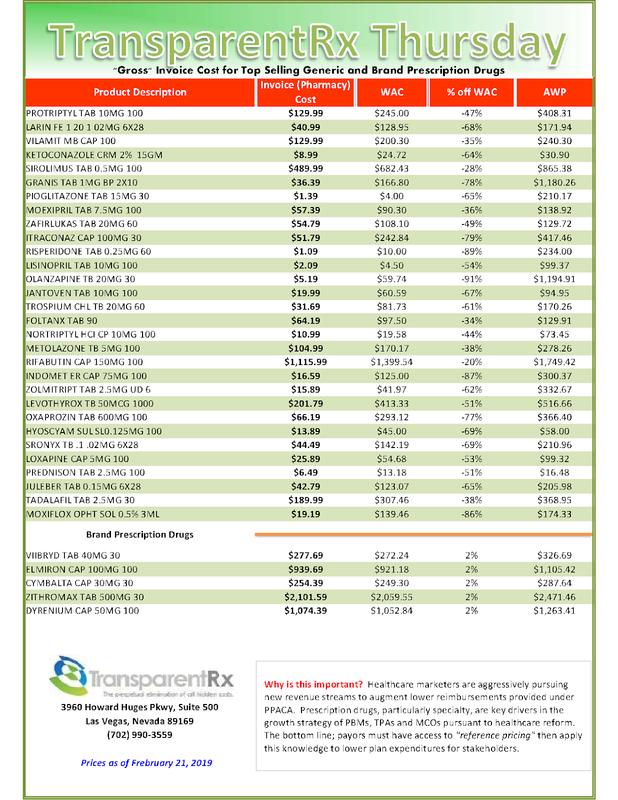 Although AWP isn’t the only pricing benchmark available, it is currently the most widely utilized for price discounts for brand drugs and generic drugs until generics are eligible for MAC pricing. starts with training and education. Click here to begin yours. 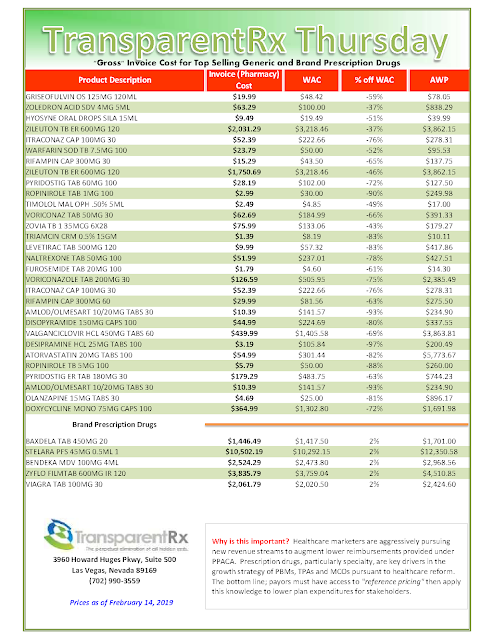 Back in August Ohio released a partial report summarizing its assessment of their PBMs' financial performance. The results sent shock waves throughout the industry. I'm not sensationalizing. Now the full report has been released. If this report doesn't change how you manage pharmacy benefits nothing will. Here were my comments around that initial report. On the heels of terminating two large PBM contracts, the State Auditor of Ohio released this bombshell report detailing the financials which prompted terminating said contracts. Why do you think Chase Bank, Amazon and Berkshire Hathaway have taken matters into their own hands? Self-insured employers must first make sure all vendors and advisers interests are perfectly aligned to theirs. Second, get self-educated AND (not or) hire an expert with a proven track record whose interests too are perfectly aligned. I can assure you these qualifications makes the list of qualified candidates much smaller than you think. The bottom line - trailing public entities in how you manage pharmacy benefits is no longer sustainable. 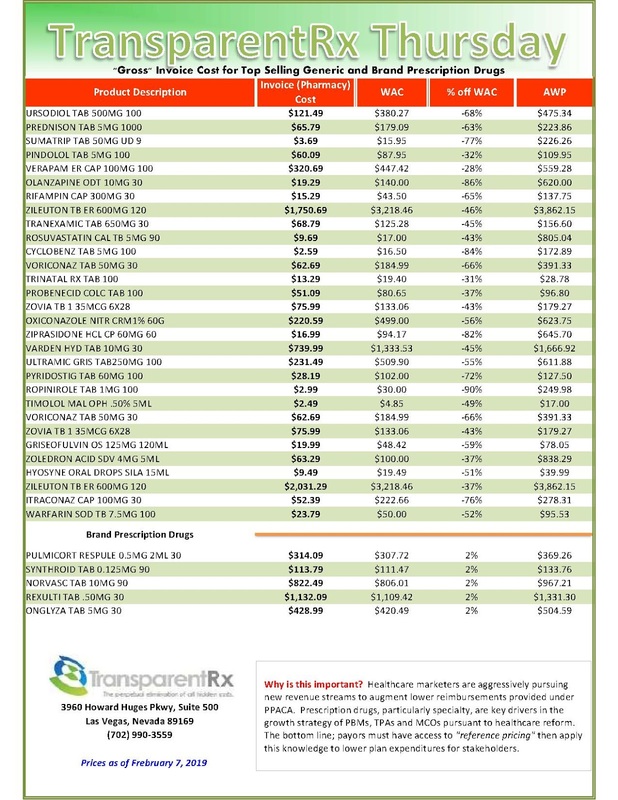 In a nutshell, Ohio's Pharmacy Benefit Managers (PBMs) charged the state a “spread” of more than 31 percent for generic drugs – nearly four times as much as the previously reported average spread across all drugs, according to a new report by Ohio Auditor of State Dave Yost. 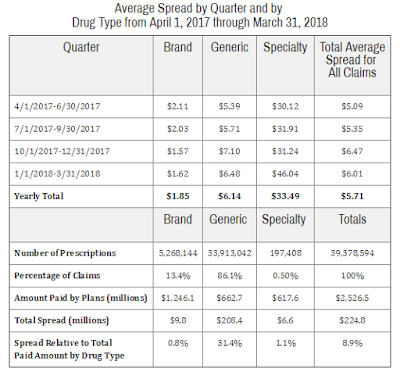 An analysis conducted by Auditor Yost’s staff found PBMs collected $208 million in fees on generic Medicaid prescriptions, or 31.4 percent of the $662.7 million paid by managed care plans on generics during the one-year period April 1, 2017 through March 31, 2018.